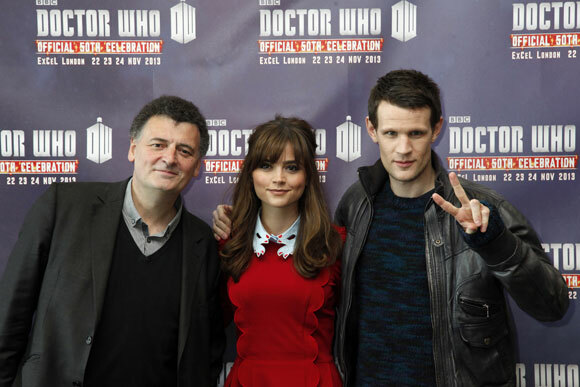 The official Doctor Who 50th Anniversary Convention at the ExCeL in London is now Under-Way with numerous guests, panels, features and merchandise stands. It was like a nightmare l took my disabled brother for his birthday was told on phone to let staff know and when we got there but no one knew anything he nearly fell down stairs as everyone just pushed going back up on esculater was even worse, when getting autographs a lady asked how things where going and told her turned out l think she worked for BBC her name was Louise she turned the whole day round got us passes to get into things quicker so he wasnt getting pushed about before that just felt like leaving Excel, she introduced us to Luke who was dealing with autographs and Michael my brother was allowed to get other autographs and he wouldnt take payment for them really made Michaels day especially since it was his 49th birthday so THANKYOU Louise didnt get your surname. but they really need to do something about crowds either code on tickets and they announce that colour leave the hall first but was an accident waiting to happen. Great show with fantastic content. Very poorly organized. Queued for a hour and a half for a picture with the TARDIS console (even though we had a pre-booked time slot) and then was rushed in and out so quickly the photographer didn’t even check the photo! BBC really could have done better. BTW my The Day of The Doctor 50th Anniversary Celebration Convention Exclusive 1:6 Tenth Doctor Figure’s number is 41. Had such a GREAT TIME at this yesterday!!! Got a HOLOGRAPHIC TENTH DOCTOR 5″ FIGURE which I didn’t even know they had, Got a Big Chief Exclusive 50th Anniversary Celebration Convention Exclusive Tenth Doctor 1:6 Figure from The Day of The Doctor, HAD A PHOTO WITH MATT SMITH!!! and met Sylvester McCoy!!! Peter Cushing was not an official ‘BBC’ Doctor. Unlike Paul McGann, Cushing’s movies weren’t produced with the BBC, thus, making him slightly ‘irrelevant’ to the BBC altogether. Don’t get me wrong, those movies were good indeed! WHY HASN’T PETER CUSHING EVER BEEN MENTIONED AS ONE OF THE DOCTORS HE WAS IN 2 MOVIES IN THE 1960’S??? Hi, yes I still have them, do you want them? Trish, do you still have the tickets allonsyyyyyyyyyyyyyyyy!!!!!!! Wonderful time yesterday. 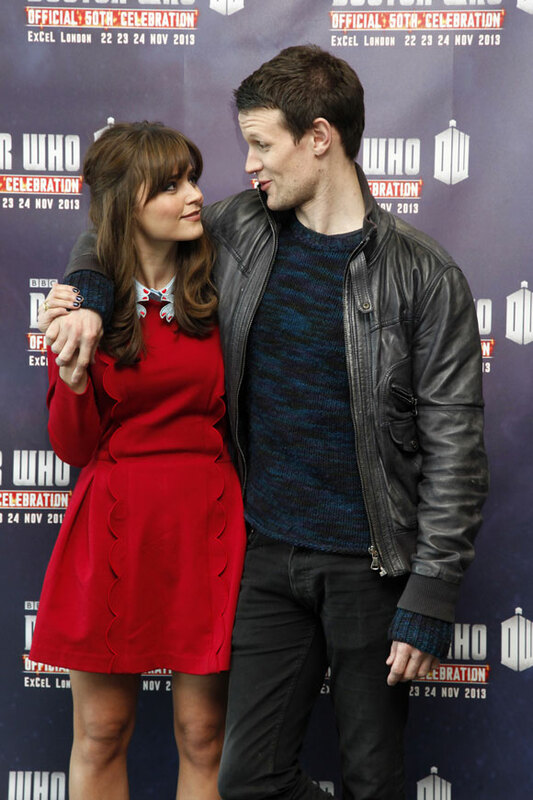 The kids meeting Matt Smith was great. Our 5yr olds question to him was “do you really like fishfingers and custard, coz i’m gonna try it for my tea”. As we left the room he said” oh no I forgot to ask Matt if the custard had to be hot or cold”, bless.